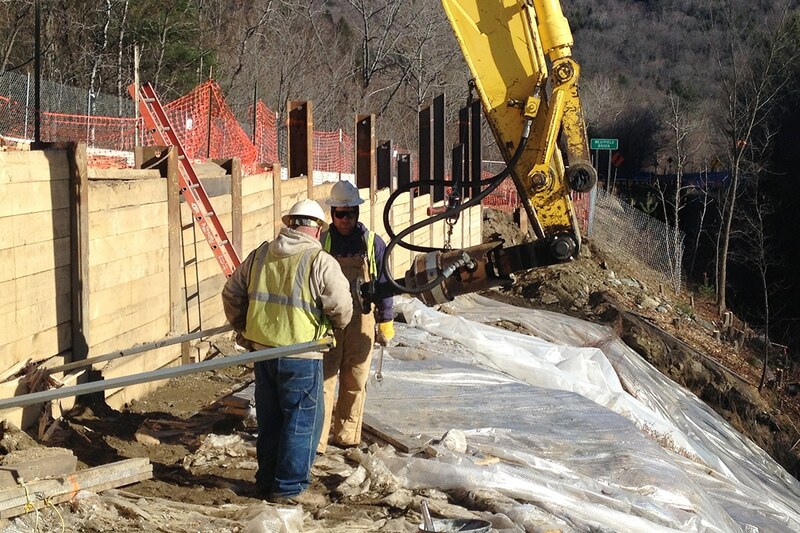 Route 9 Concrete Retaining Wall Replacement - J.H. 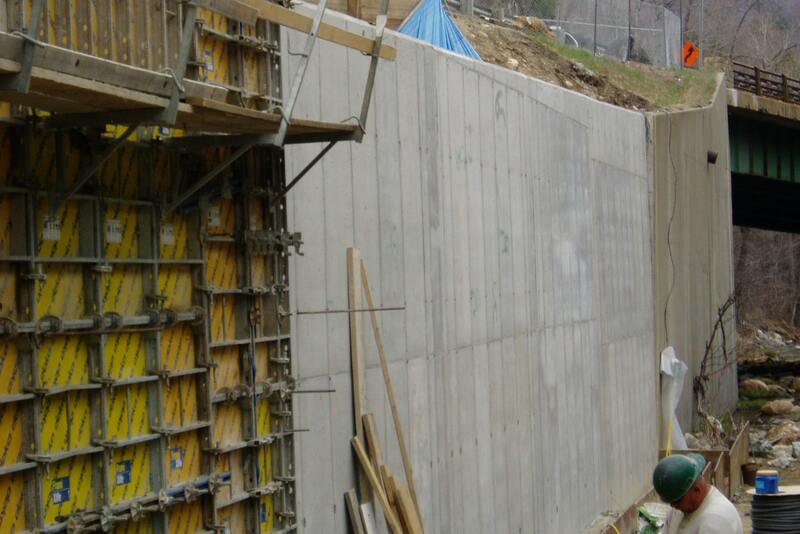 Maxymillian, Inc.
Maxymillian replaced a failed major retaining wall located along Route 9 in Cummington, MA. 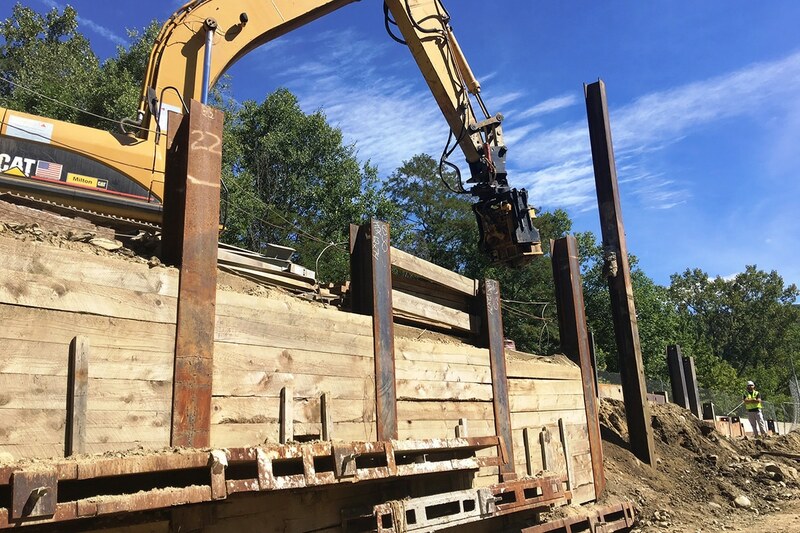 Prior to commencing wall demolition and construction, Maxymillian designed and installed a temporary earth support system above the failed wall for slope protection and constructed access to the Westfield Brook elevation. 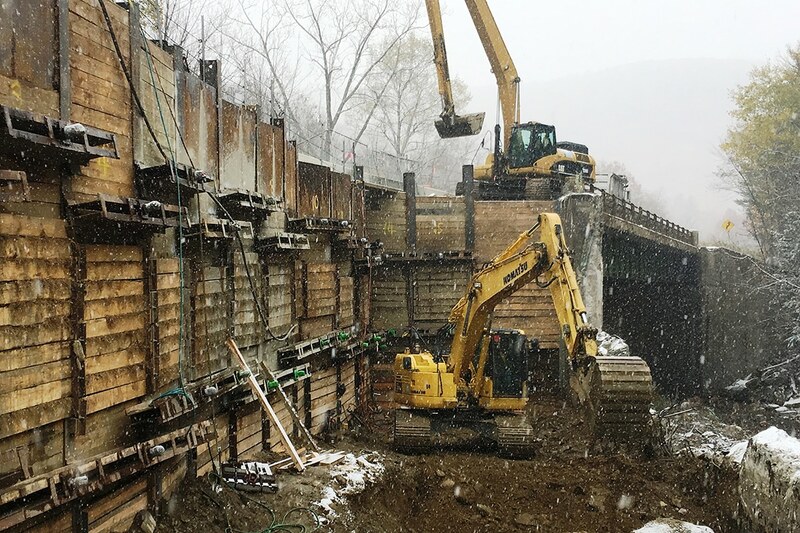 Maxymillian then installed water control/diversion from the work area, removed sections of the failed wall, constructed sections of new concrete walls, removed debris from Hurricane Irene, installed rip rap, backfilled, and restored the existing slope.